For the most part, the automotive circle of life is fairly simple. Each year sees additions and improvement made to the previous year’s models; sometimes there are tweaks and performance boosts that are worth noting, and other times we’re left scratching our noggins wondering what exactly has changed. Thankfully, we won’t have sit and ponder too long when it comes to the 2013 Chevrolet Volt as GM has just doled out some information on the next installment of the company’s plug-in hybrid. 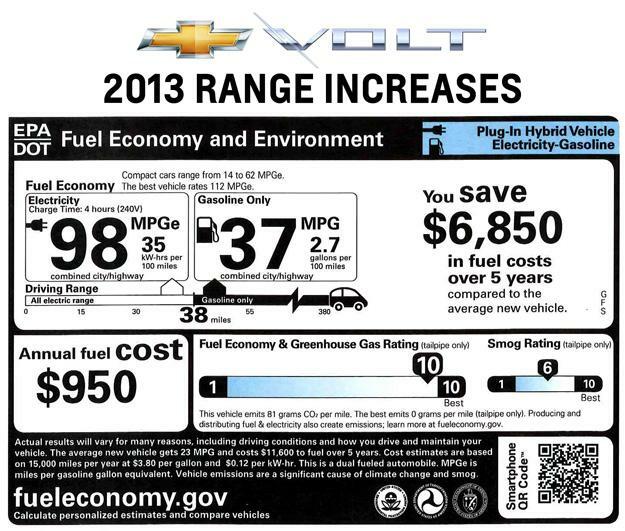 First up, the 2013 Chevy Volt will see its all-electric range increase from 35 miles to 38 miles on a single charge. In addition, the vehicle’s miles per gallon equivalent (MPGe) will receive a slight boost from 94 miles to 98 miles, with total range jumping to 380 miles for both the all-electric and gasoline engine operation models. Of course mileage isn’t the only thing going up in the Volt (and no, we’re not talking its $40,000 price tag). Added mileage equals added time at the pump, err, plug. 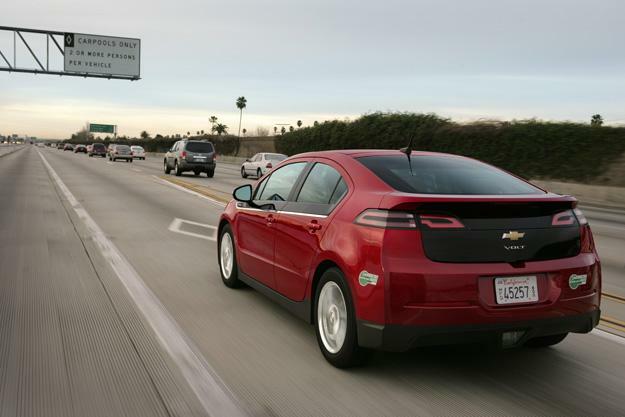 According to GM’s press blast, the 2013 Volt’s improved EV range capability will result in a slight increase to the vehicle’s charge times. A full recharge using a standard 120-volt socket could take up to 10.5 hours, with that time frame dropping to 4.25 hours when using a 240-volt level 2 system. We already reported back in April on a number of changes the 2013 Volt was expected to undergo. Chief among them was the introduction of an “EV Hold Mode” that allowed the Volt the ability to forgo the use of its gasoline engine in favor of its battery. “EV Hold Mode” is already available on the Volt’s European counterpart, the Opel Ampera, and provides for better, more efficient use of the vehicles gasoline engine and electric motor. Visual changes to the 2013 Chevy Volt will remain minor for now, which is fine by us considering how pleased we are with the current design. Our only disappointment stems from GM’s plans to remove the car’s signature black roof and trunk backing for a body-colored design instead. Not a major change, but one we’re sad over nonetheless. For all the Volt’s added improvements GM has still failed to address what is truly holding the Volt back: the car’s sky-high sticker price. We’re not denying that the current Volt, or the upcoming improved 2013 model, are great cars, just that they simply remain too expensive. Get that monkey off the Volt’s back and GM will have no problem getting these Volts off the lots and into people’s garages.